The CHAMÄLEON Theatre in Berlin has become "home from home"; every six months or so, they're kind enough to fly me out to their home city to review their latest show and it's honestly one of the highlights of my year, every single year. This year, the CHAMÄLEON celebrate their 15th anniversary and are kicking off the season with their brand new show, Memories of Fools, by Czech contemporary circus production company, Cirk La Putyka. I've gushed about the setting and the decor of the CHAMÄLEON Theatre before in my previous reviews (you can take a look through my previous Berlin blog posts here), but you betcha that I'm gonna gush again – the CHAMÄLEON Theatre is beeeeaaauuutttifffuuull! The theatre is nestled within the Hackesche Höfe courtyards and boasts a grandeur yet an intimate space with small tables dotted around in front of the stage. Sweeping red velvet curtains adorn the stage and the former ballroom oozes with charm in the candlelight. It's clear from the moment you waltz into the theatre, that you've discovered one of Berlin's best kept secrets – it truly is magnificent! Whilst we were lucky enough to be sat in the front row, it's safe to say that you're likely to have a clear view no matter where you're seated in the audience. It goes without saying that the CHAMÄLEON is Berlin's heart of New Circus, hosting show after show, yet every one stands apart from the last. If you ever thought that contemporary circus could get repetitive after fifteen years in the game, the CHAMÄLEON will definitely prove you wrong. Their latest offering is unlike anything that I've ever seen at the CHAMÄLEON before – and this was my fifth visit to the theatre. 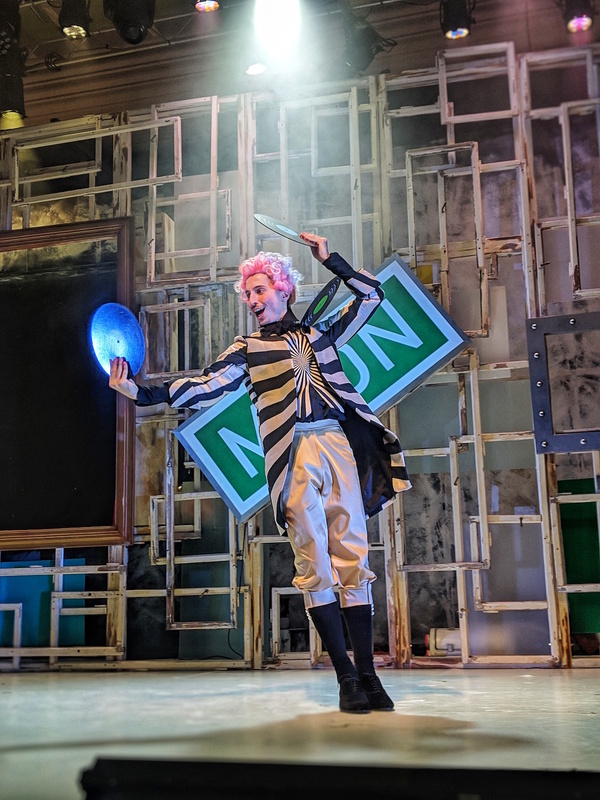 'Memories of Fools' is a lot more distinguishable than the previous shows I've seen as it portrays a very distinct, vibrant story line and characters for the audience to become invested in. The show follows a young boy, who dreams of nothing more than becoming an astronaut and flying into outer space. This year marks 50 years since the Apollo 11 moon landing, so Memories of Fools' concept is truly fitting. In fact, throughout the show, you'll encounter short 60s TV clips from the coverage of the moon landing. 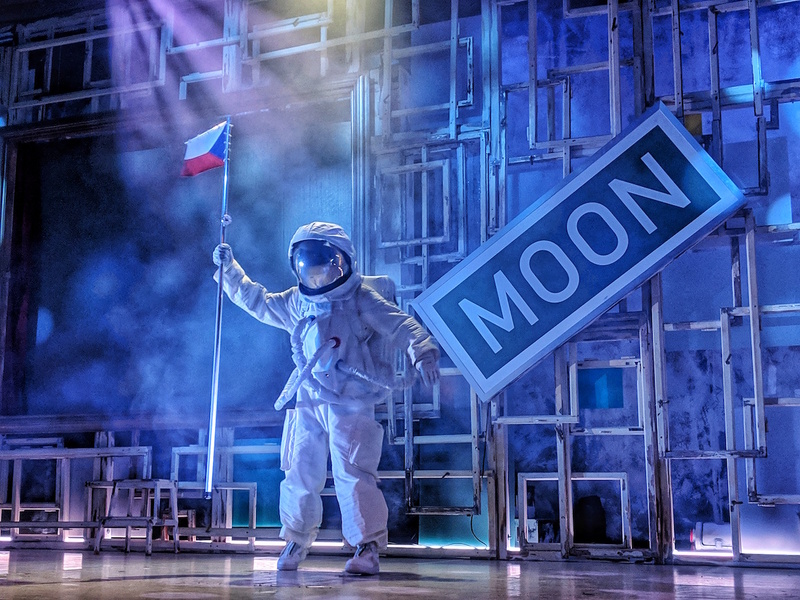 The first half of the show is light-hearted and charming, as the main protagonist begins his training to get to the moon. 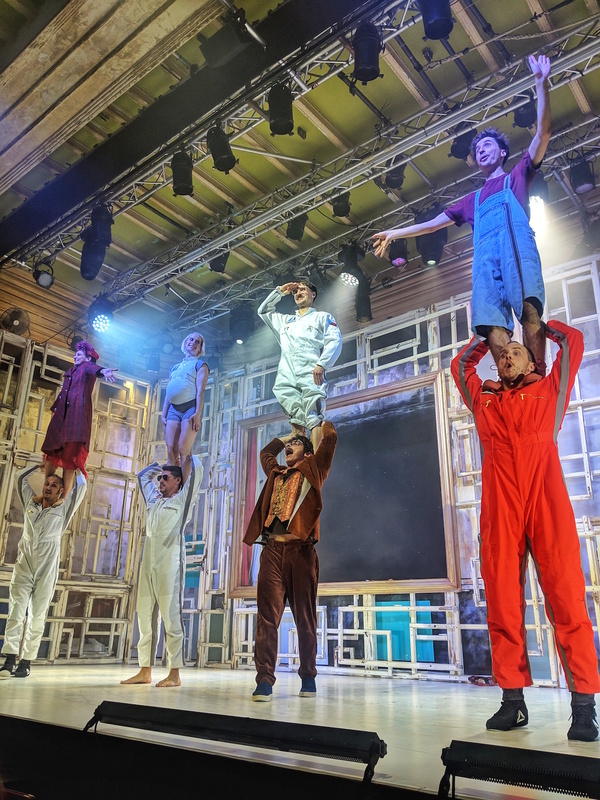 The acrobatics in the first half of the show are playful and dare I say, gentle – and whilst they are impressive, they come second only to the endearing narrative of the young boy. 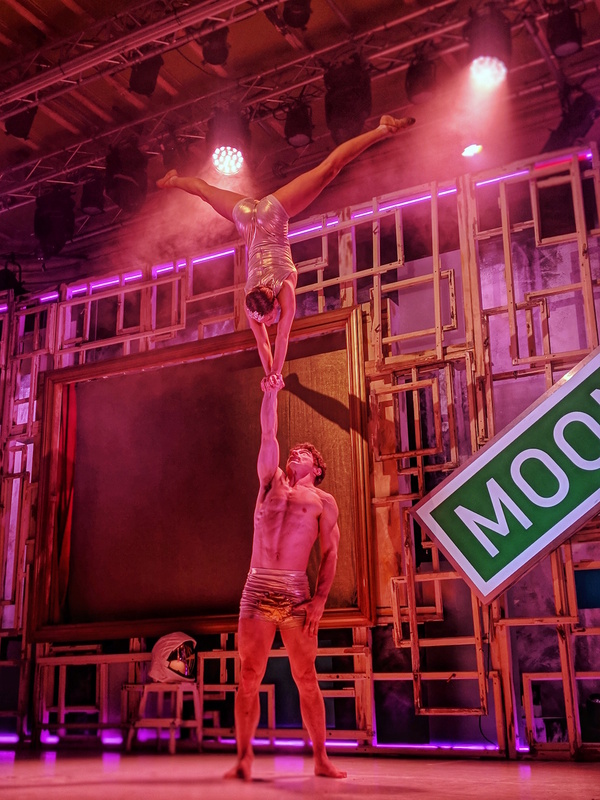 In previous shows at the CHAMÄLEON, the nail-biting, edge-of-your-seat acrobatics and aerial stunts have often taken centre stage of the show, but not so much with 'Memories of Fools'. 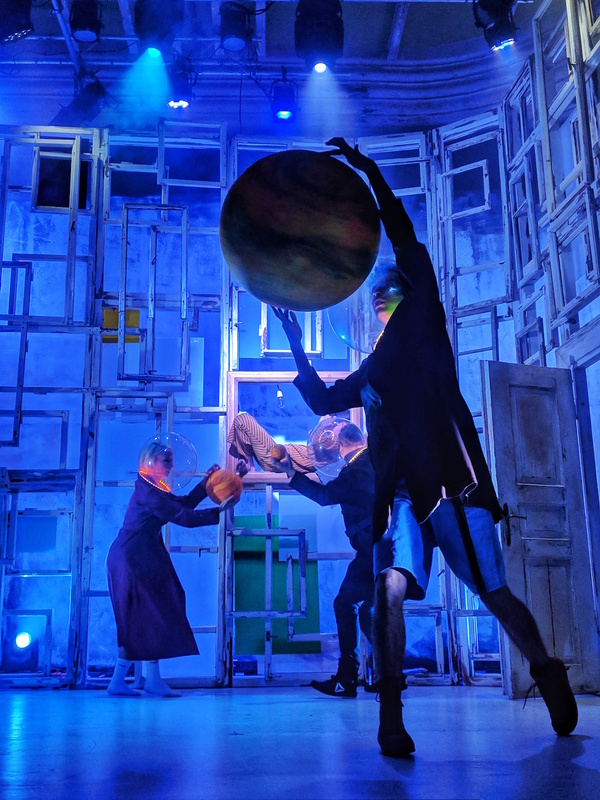 Cirk La Putyka have used a combination of acrobatics, comedy, music, dance, magic, juggling and puppeteering to bring their childlike-influenced vision to life. On the contrary, the second half brought the partay. 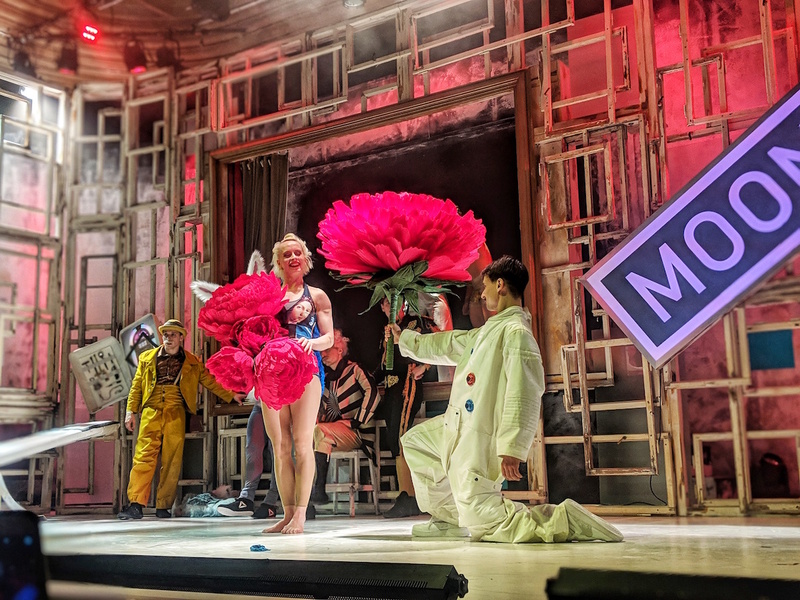 The entire show transformed from a truly heart-warming, fun narrative to a raucous, dynamic, vigorous, utterly surreal party with a banging soundtrack that had me tapping my feet beneath the table. Everything descends into a carefully curated chaos with a lot of surreal, bizarre imagery, including a gigantic talking rabbit, a Spanish matador, Adam & Eve, and a rather convincing Elvis dancing upon a giant globe. The entire show is just so much fun! Memories of Fools take the audience on a fantastical, vibrant journey, carried by the nine charismatic and energetic performers that will leave you in surrounded in a aura of wonder and beaming from ear-to-ear by the end. This show is one for the dreamers, the young at heart and the curious. Why not step away from the chaos of Berlin for a few hours and lose yourself in outer space and hitchhike through the galaxy with Cirk La Putyka? If you fancy doing something a little different whilst visiting Berlin, then definitely book a show at the CHAMÄLEON. Find the CHAMÄLEON at Hackesche Höfe, Rosenthaler Straße 40/41, 10178 Berlin-Mitte. Ticket prices start from 37€. Book tickets to 'Memories of Fools' here. BERLIN TIP: If you're heading to Berlin, consider investing in a Berlin Welcome card, which includes discounts and public transport access across the city! Read more about the Berlin Welcome Card here. Disclaimer: I was invited to the CHAMÄLEON Theatre as part of a press trip, but all words are honest and my own.